“It's a manageable group, but it all depends on us. Our destiny is in our own hands,” said Juve CEO Giuseppe Marotta. “I expected a difficult group, we have a difficult group and that's what the Champions League is all about,” Klopp told UEFA. 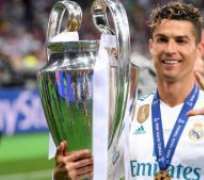 “We want to defend our title for one more year,” Emilio Butragueno, Real's Director of Institutional Relations, told Spanish television. “You want to test yourselves against the best players in the world, but we don't want to just test ourselves, we want to compete against them. That's definitely the case with Barcelona,” Tottenham's Eric Dier told his club's website.